Despite of the huge number of newfangled restaurant meals fans, the number of familiar home cooking admirers is still much more. Stuffed cabbage is a popular home dish, which is probably liked by everyone. However, their recipe is not quite easy. 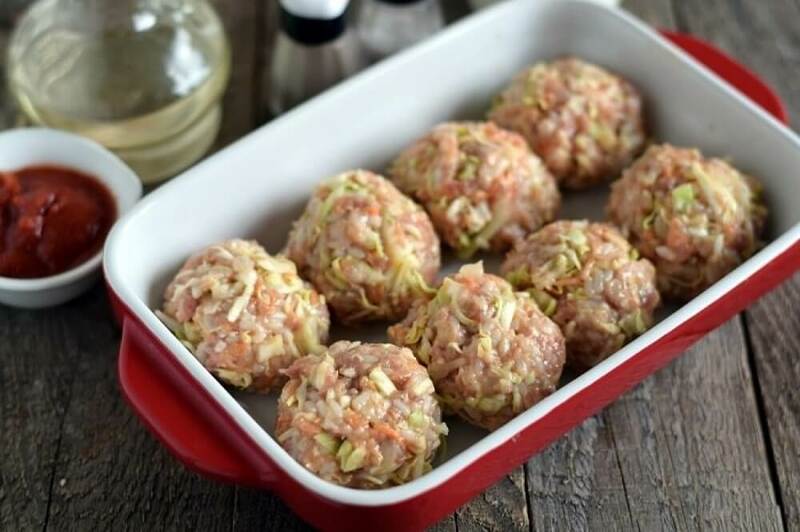 But you can go more simple and rapid way, and prepare the lazy cabbage rolls, where cabbage is crumbled right into the meat. 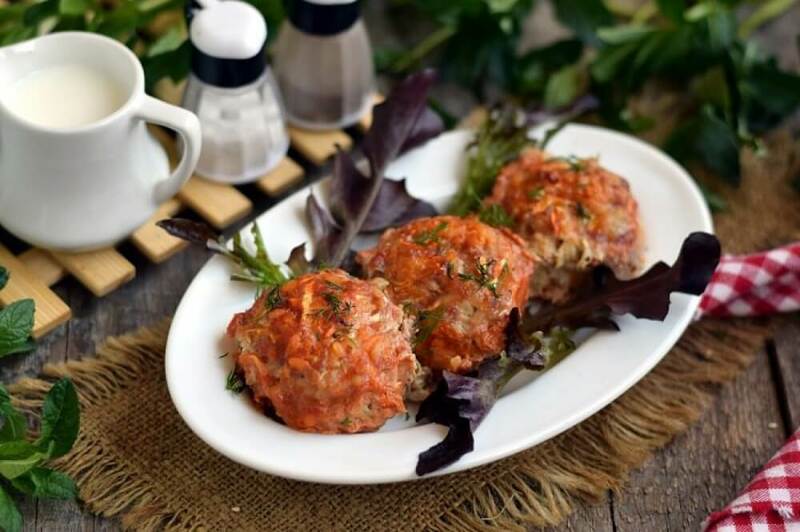 Thanks to this simple manipulation you will save a lot of time and your pains to create a brand-new, but not a less tasty dish. 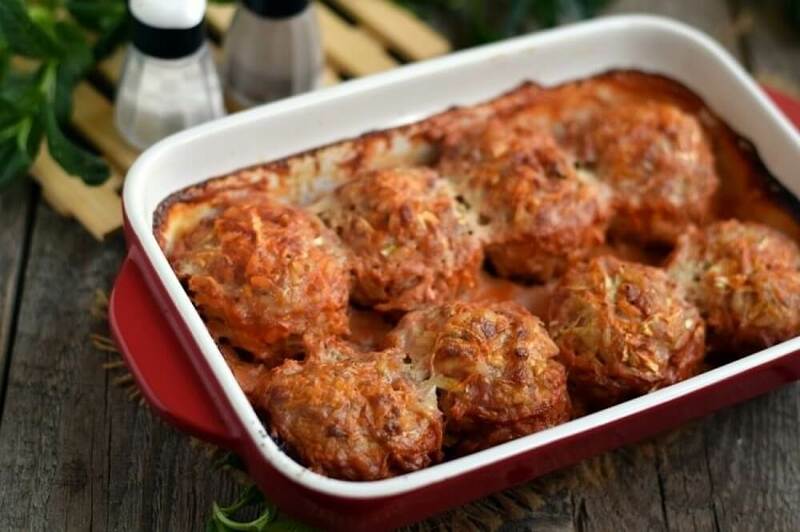 Quite unusual lazy cabbage rolls, unlike the classical version, are cooked in the oven. 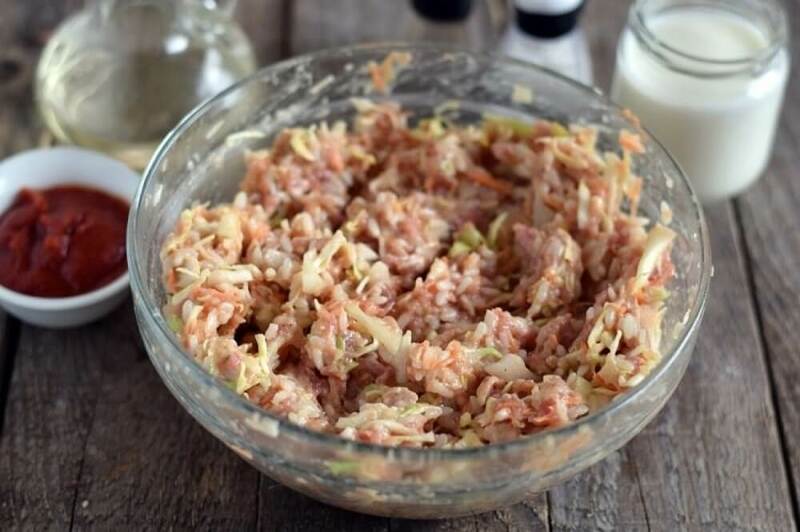 And for making that stuffed cabbage more juicy, it is better to fill them with some kind of sauce, for example, created on the basis of sour cream and paste from tomatoes. 1. Pre-boil rice. 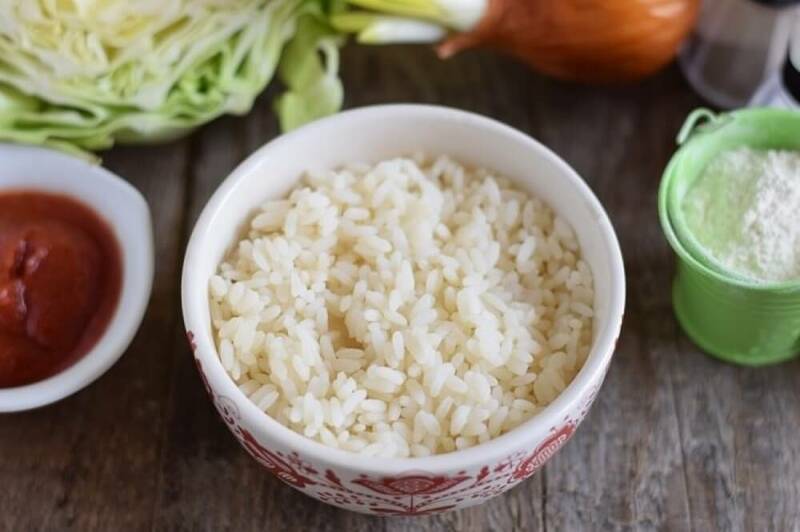 The rice for cabbage should be slightly raw, as it will be cooked together with meat and vegetables in the oven, where it will become completely ready. 2. 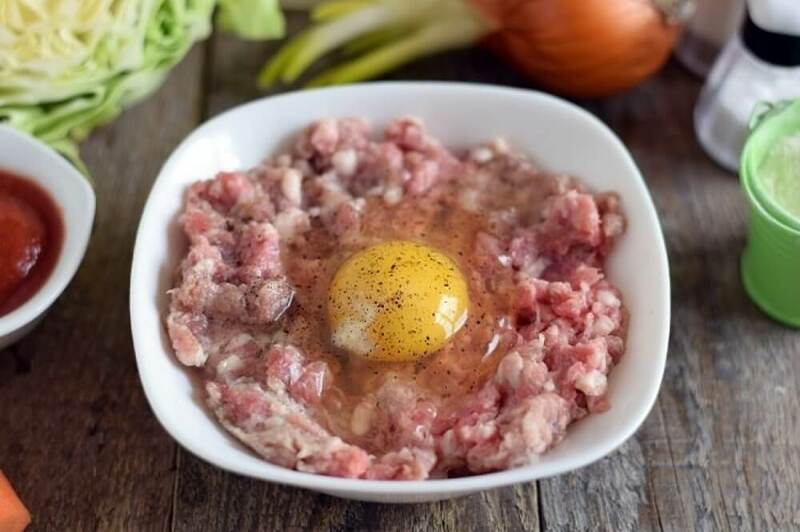 Wash meat, cut it into small pieces, grind in a meat grinder, creating a homogenous mince. Bring the ready stuffing to desired taste. For the mass to be adhesive and cling easily, beat an egg into the mince. Then intensively mix for the egg to envelop the meat mixture completely. 3. 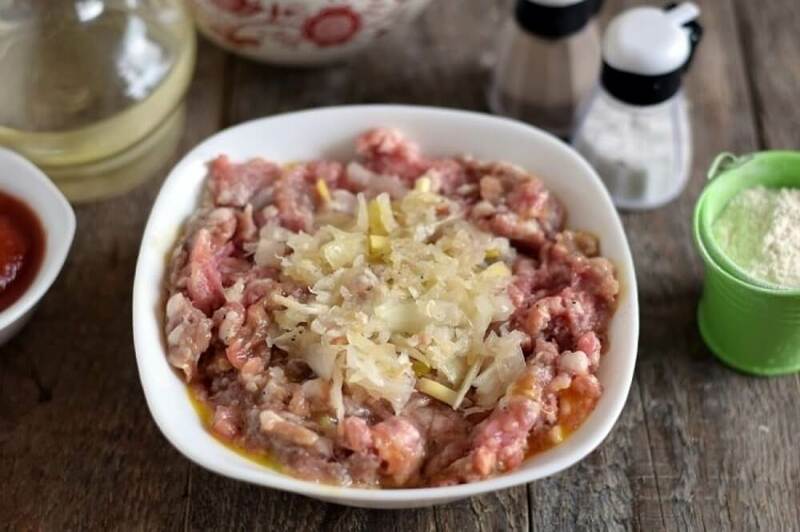 Onions can be added during the grinding of the mince, it is also permissible to throw a little onion pieces to the ready-made mince. 4. 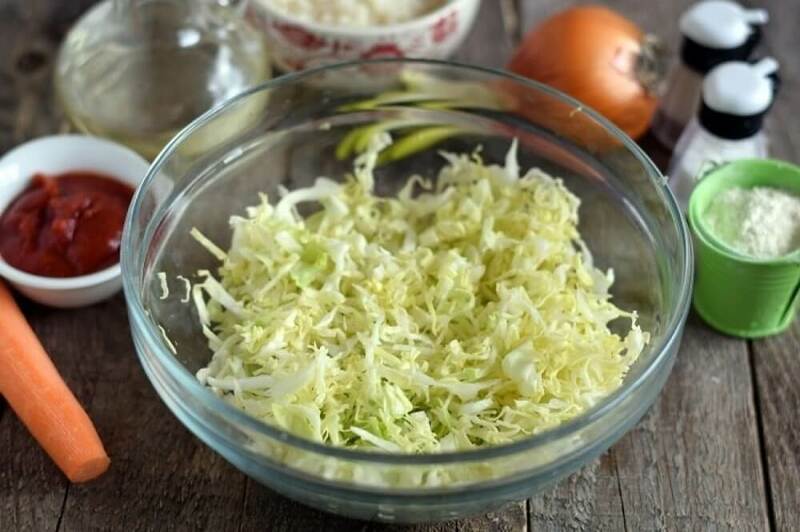 Rinse a head of cabbage, dry it, slice it into thin short strips. 5. 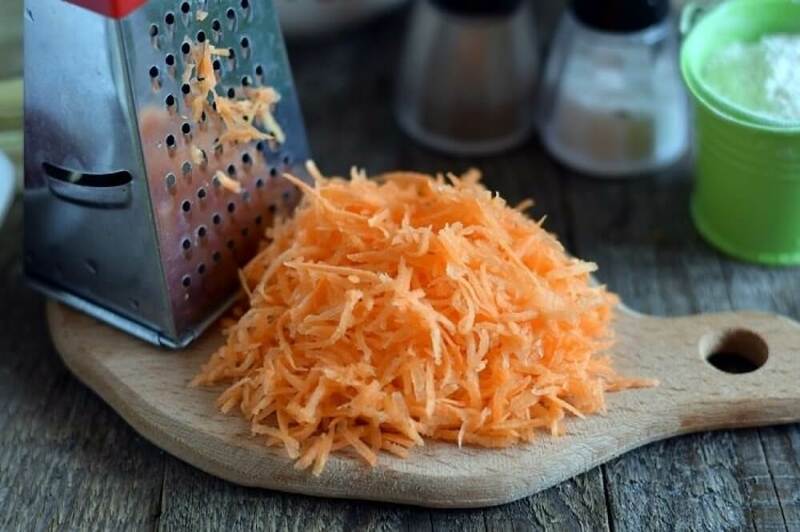 Free carrots from the unnecessary layer, then grate it on a metal grate with small holes. 6. 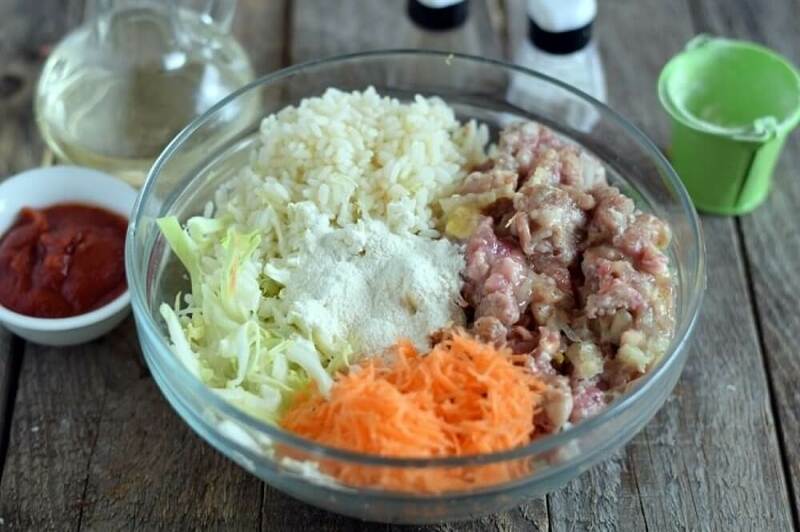 Prepare a large bowl, throw the grounded meat, shredded cabbage and carrots, rice and a small amount of flour in. 7. Connect all the components by thorough stirring, obtaining a uniform mixture. For balancing taste season it with pepper and salt. 8. Prepare the round billets of the same size, place them in an ovenproof pan. 9. In parallel, create sauce by mixing sour cream, pasta and water. Intensively stir the resulting mixture, achieving a uniform consistency, then pour into the pan with the workpieces. 10. 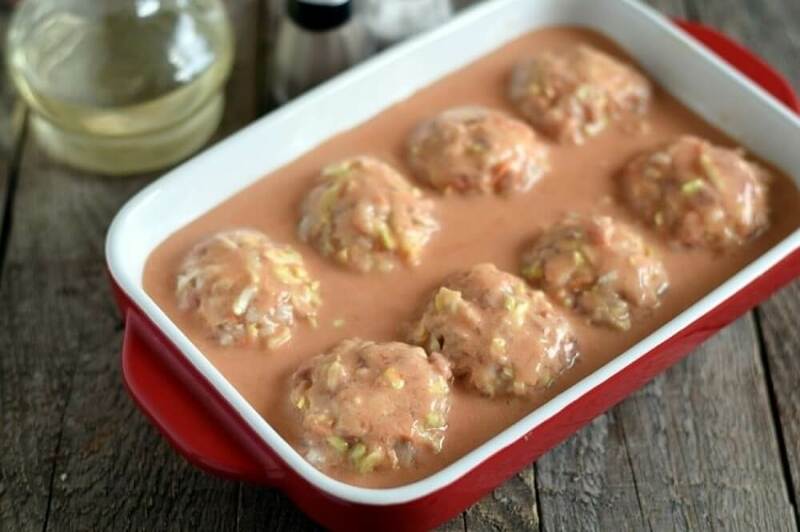 Simmer lazy cabbage rolls in the oven for about 60 minutes at a temperature of 160 degrees. The fire can be increased at the end of the process.